Too many people take their garage door opener for granted until something goes seriously wrong with it. When this crucial device stops working properly, you can find yourself forced to manually open and close your garage door, which can be extremely inconvenient at best. Don't accept that added stress. The professional garage door opener services we have to offer can keep your system in the best possible conditions. Garage door openers are deceptively complex. Just because they can have a relatively simple appearance doesn't mean that they are simple to fix. Small mistakes or oversights can not only leave you frustrated and with an inoperable garage door and void your manufacturer's warranty, they can make your system downright dangerous to use. Whether you have a belt drive or a chain drive opener, we can handle every problem, from simple issues with syncing remotes to major motor malfunctions. Our team has the experience and tools to do the job perfectly! You probably have a daily routine and a carefully planned schedule. The time that manually opening and closing your garage door adds to them can make you late for work or force you to wake up even earlier than is necessary. You don't need to deal with that stress every day. 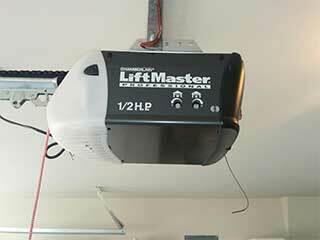 Count on us when you decide to get a garage door opener installed. It'll make your life much easier. With our professional maintenance service, we can increase your system's lifespan by providing you with routine inspection of your system, during which our technicians will lubricate all the appropriate parts and make sure to replace any worn-out component they come across. Our repair work can potentially save you money, so if your garage door opener starts acting up, contact our team at Garage Door Repair Sugar Land and we'll have it fixed in no time. Whether you have been putting off regular maintenance or you need help installing a new garage door, we can help. You can rely on our experts for all your garage door and opener service needs. Thank you for choosing Garage Door Repair Sugar Land! One of our experts will be in touch soon. Feel free to browse our website for FAQ, tips and more useful information in the meantime!